Archer Avenue Studio is the place where artists make records that highlight who they are as musicians and push the boundaries of what they thought would be possible for their projects. Located in Columbia, South Carolina, just 10 minutes from downtown, Archer Avenue is proud to call itself the perfect home for your talent. Newly renovated, and designed by Wes Lachot, the control room is a perfect listening and working environment for creating professional recordings. This Pro-Tools equipped studio also boasts a wide variety of industry standard microphones, mic preamps, and other outboard equipment as well as a unique collection of unconventional gear, boutique amps, cabinets, drum kits, basses and guitars. The space, gear and production techniques are ideal for adding the right vibe to your record. Two full-time engineers/producers have the experience and creativity to craft authentic and interesting recordings to suit each clients’ needs. Their quality of work and attention to detail will allow your project to sonically rival recordings done in studios all across the country. Whether you are looking for creative and innovative production and engineering from start to finish, or a professional mix of the record you’ve started, Archer Avenue is the studio for you. Kenny McWilliams will appear on WXRY Unsigned this Sunday, March 13, 2016 broadcasting LIVE from The British Bulldog Pub. 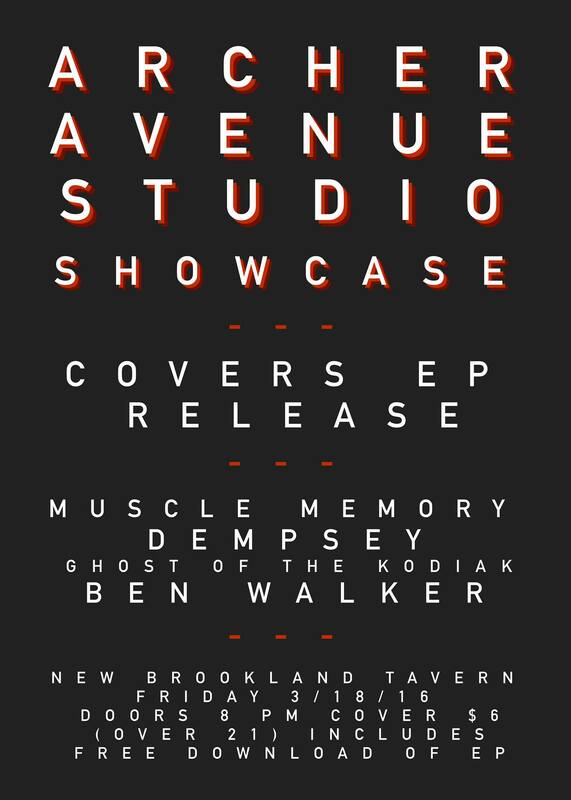 Posted on March 9, 2016, in News and Announcements and tagged Archer Avenue Studio, Ben Walker, British Bulldog Pub, Dempsey, Eric McCoy, Ghost Of The Kodiak, Kenny McWilliams, local music, muscle memory, WXRY Unsigned. Bookmark the permalink. Leave a comment.